This is my fourth baby. My MFA thesis - a novel. The gestation was 26 months. 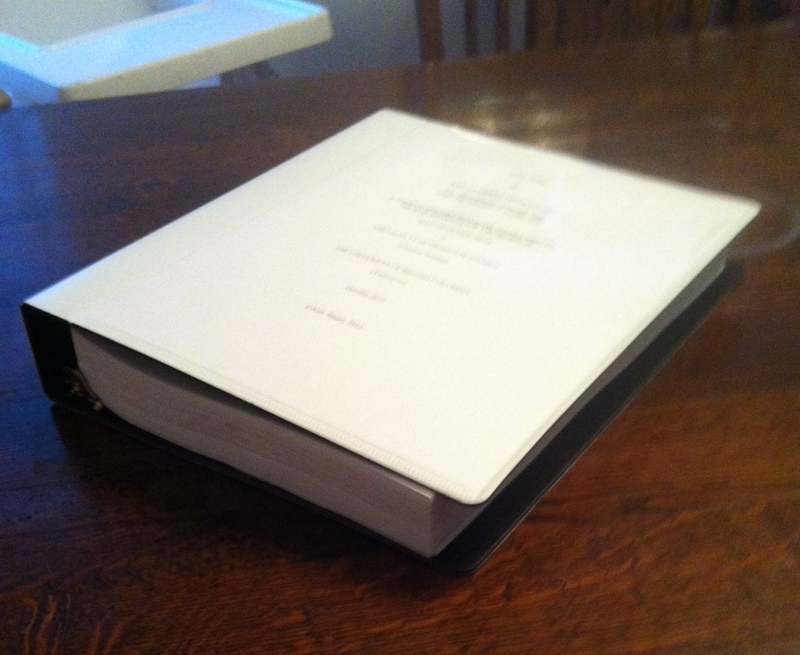 It is a thesis but not yet a fully drafted novel. I am proud of it. And I am thankful to a million people, but mostly to my hubby, for all the things he did so that I could write this book.